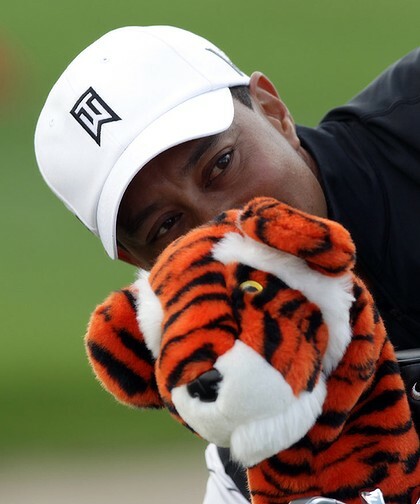 Tiger and his pal, tiger. Still need a gift for that special golfer in your life? Daphne’s Headcovers certainly are worthy of consideration. They’re functional. They’re little works of art. And they’re fun. Sorry if this sounds like an info-mercial. It’s just a warm and fuzzy story (literally) for the holidays. Jane Spicer started Daphne’s, named for her mother, as a little business in 1978, when she was in high school. Jane was so passionate and determined that it grew into Phoenix-based Daphne’s Headcovers, which are used by the biggest names in golf around the world as well as amateurs around the corner. Tiger Woods has used Daphne’s tiger headcovers since his mother came across them when Woods was still a teenager. “He’s been carrying Daphne’s headcovers his entire life,’’ Spicer said. “`That started everything. When he won the Masters the first time, I was really brilliant at marketing. 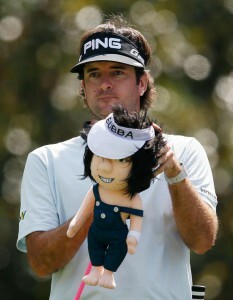 Bubba Watson got into headcover design. That’s not exactly true. There was plenty of hard work, creativity and attention to quality that helped her be lucky. That hum-drum didn’t last long. Daphne’s doesn’t do endorsement agreements. But the list of pros who find them irresistible includes Bubba Watson, Dustin Johnson, Ernie Els, Darren Clarke, Angel Cabrera, Jerry Kelly, Justin Leonard and Craig Stadler on the men’s side, to name a few. The long list of LPGA players who have Daphne’s headcovers includes Dottie Pepper, Meg Mallon, In Bee Park, and many other current players from around the world. A quick spin around Daphne’s website reveals headcover categories for barnyard, birds, cats, dogs, reptiles, amphibians, sea, garden wildlife. Jane also has a Bubba Watson headcover that was developed with a serious amount of input from Watson that helped her get the chest hair, hair-do, mole and color choices just right. “I have Bubba’s all over my office,” Spicer said. Two more people headcovers are scheduled to debut in 2016, another golfer and a non-golf celebrity. Daphne’s headcovers retail from $25. 99 to $32.99. They’re widely available, in stores and online. There’s a list of retailers at the Daphne’s website. As the business has grown, Spicer moved away from the actual sewing to concentrate on design and marketing and quality control. When attending PGA and LPGA events, she enjoys visiting with the pros. Her college-aged son was especially impressed when she texted a photo of her with Tiger in Phoenix last year. 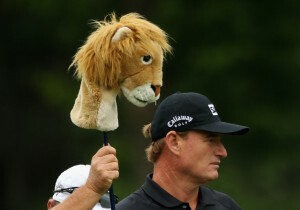 One secret to making a top-notch headcover? After all these years, Spicer remains as enthusiastic as ever about her whimsical, practical headcovers. From the book section, a few more gift suggestions for golfers. —Men in Green is a nice little meandering book by Sports Illustrated writer Michael Bamberger. Basically, Bamberger seeks out 10 Living Legends and 10 Secret Legends, whom he admires, accompanied by a fascinating and quirky Mike Donald, best remembered for losing a playoff at the 1990 U.S. Open at Medinah. There’s some really interesting personal looks at Arnold Palmer, Ben Crenshaw and Mickey Wright, among others. —Through the Eyes of a Caddy is a fictionalized memoir by Randy Cochran, the former golf pro at Briarwood, where I caddied. 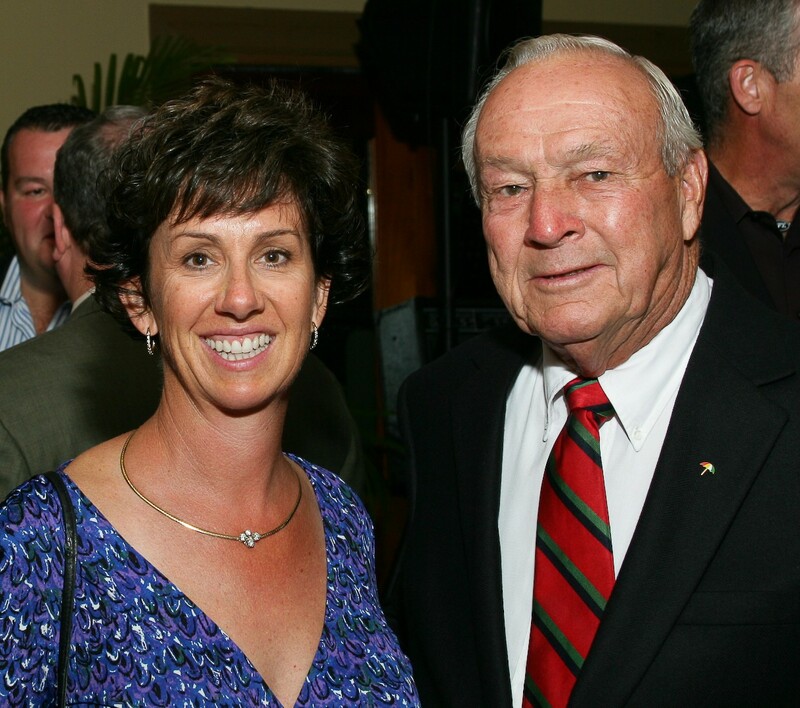 Cochran’s stories should be of special interest to DuPage County golfers. They are based on his caddie days at Elmhurst, later renamed Oak Meadows.